This is the very first post from the new section. My idea was to call this new section “Behind the Brand” in short I’ll write BtB. If you come up with a better name I’d love to use it!Maybe this post won’t be what you expected from this new section. But you have to give me some time to figure out how make this section work. I find it really exiting but scary at the same time, since I’ve never done anything like this before. From now on I will try to post a BtB every week. 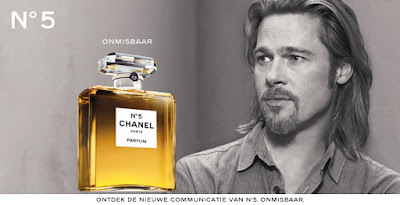 I thought that Chanel would be the best brand to begin with. We all know Chanel and their beautiful products. But who exactly are behind the fabulous ideas? What does Chanel stand for? What are Chanel’s signature items? 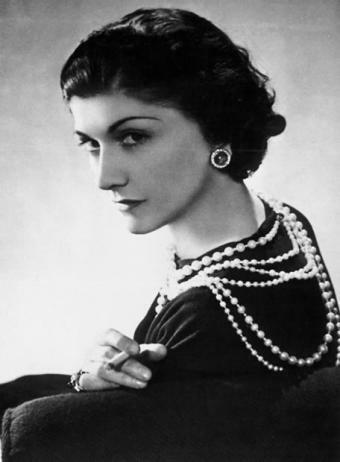 The first store was opened in 1910 by Gabrielle Chanel. It was called “Chanel Modes” and located in Paris. At first Chanel Modes created hats which were worn by famous French actresses. The beautiful designs set up Gabrielle Chanel‘s reputation. The simple dressing completed by the elegant style created sensation in Paris. Short after the first store, with only hats, Gabrielle Chanel opened a new store. This store introduced the first sportswear collection. Revolutionary changing women’s ways of life and their relationships with their body were the intentions of this collection. You might not believe this but Chanel N°5 was created all the back in 1921! The fragrance is called N°5 because it was the 5th scent presented to Gabrielle Chanel. After the famous N°5 came N°22, Gardénia and Bois Des Iles. This fragrance can be considered as the definition of timeless and the ultimate symbol of femininity. Three years later, the first ever Chanel makeup collection was released. In that exact same year, Gabrielle Chanel went on a trip to Scotland. On that trip she discovered tweed. Tweed is a textile that was traditionally used for man clothing. LBD stands for Little Black Dress, something most woman can’t live without. Chanel came with this life changing idea in 1926, calling it the Ford dress. It’s such a daring simplicity that created a fashion revolution. In February 1995 -one year before I birth- Chanel created the 2.55 quilted bag. The golden shoulder strap, which is strong and light, allows woman’s hands to be free. Two years later came the two-tone shoes. The black toe cap creates a flattering effect, feet will look smaller and legs will look longer. In 1978 came the “Ready to wear collection”. Karl Lagerfield becomes Artistic Dirtector for CHANEL fashion in 1983. The brand CHANEL stands for class, revolutionary, simple but most importantly femininity. CHANEL is able to create fashionble items which will last a lifetime. Thank you CHANEL for creating items we couldn’t be able to live without today.